Are You Hearing Noise in the Attic? 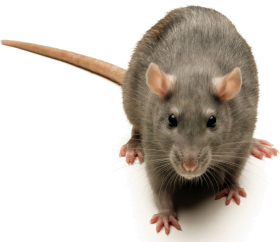 Our efficient, fully trained professionals are experts in all phases of rodent control. Rodent management, control and elimination begins with a thorough inspection of the home, building or property. Preventative maintenance is very important in preventing rodents from having easy entry into the structure. A thorough inspection will be performed to find all exterior entry points. Our rodent control service is a two step process. First, we begin with the exclusion of rodents from the structure by sealing off any entry points into the structure. We then begin a trapping process. The traps are monitored three times a week, for a two week period. All work performed has a one year warranty. The most common rodent we deal with in our area is known as the Roof Rat. They prefer to nest off the ground and are commonly found in attics, trees, or shrubs. Rodents are found near bodies of water and around citrus trees. Rodents have been known to gain access underneath and into modular homes. They can be very dangerous and destructive once they have access into your home. They have been known to gnaw on electrical wiring which can cause electrical problems and pose a fire hazard to your home. If you think you may be dealing with rodents, please give us a call today.